Join us to be inspired, further your project, or participate in a group project with other novice metral workers! 1st & 3rd Tuesdays and the occasional random Saturday or Sunday. To join the email list and receive notifications contact workshops@artx. Join us to roll in Mardi Gras Galveston's Krewe D'iHeart Media Art Car Parade - a tradition on the Strand! Art Car owners receive gas money, a bag of beads (enough for one person to throw), and entry to the strand for you and your riders after the parade. No charge for Art Cars! FREE for Art Cars! Register now for your beads and gas money! Learn how to cut metal using a plasma cutter and oxy-acetylene torch. Then cut your design into a metal barrel or piece of metal to create a burn barrel or piece of artwork that you can take home with you. The workshop will cover safety and include safety equipment. This class is limited to ensure every student receives individual attention and can safely operate each piece of equipment. All safety equipment and materials are provided. The admission for this work shop includes a barrel and all materials. Eliminate the fear factor! Learn to weld from a master - Lisa Nigro, creator of the 110' Draka the Dragon. During this 4-hour workshop participants will receive instruction in the use of a MIG (wire-feed) welding machine and other metal fabrication tools, techniques, and equipment; i.e. grinders, chop saw, etc. You will have time to practice and can create your own art piece from steel and found metal (provided). You may also choose to add a door or pipes to your previously made burn barrel. You are welcome to use our steel and found objects or bring your own steel or found objects that inspire you to create. This class is limited to ensure personalized instruction and practice time, and can safely operate each piece of equipment. All safety equipment and materials are provided. Upon completion of this course, students are welcome to practice and create during our regularly scheduled studio sessions. The admission for this 4 hour work shop includes all materials and safety equipment. Learn how to install flame effects on an art car from a pyro master and creator of the Iron Maiden and the Roachster - Kenny Browning! 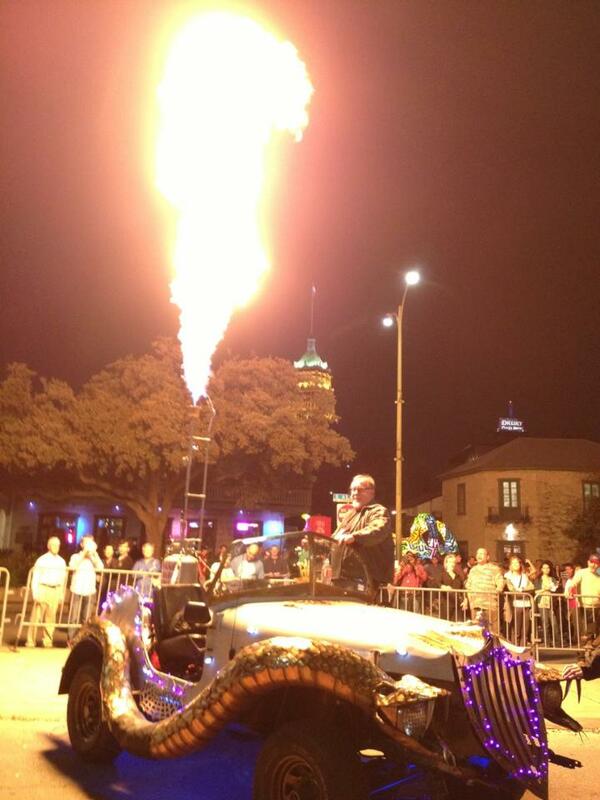 Kenny will explain the different types of flame effects and how they are achieved while demonstrating an installation on an actual art car. You'll learn about all of the components and testing to safely add and maintain flame effects on an art car. Feel free to bring your questions - or your firey art car - for advice from Kenny at the end of the workshop.